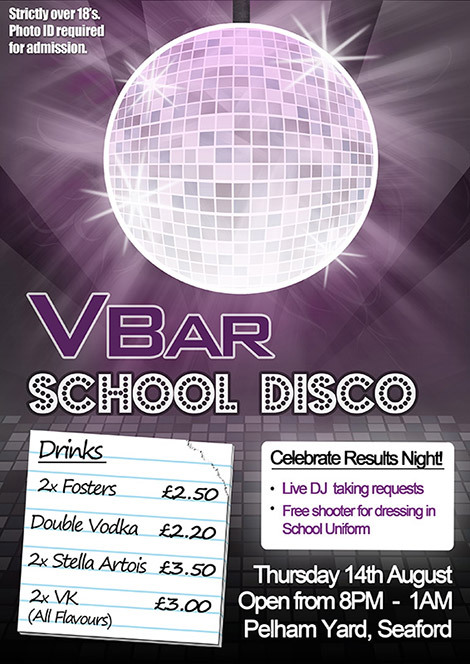 V Bar, a chan of bars in the south of England decided to have a results night to celebrate exams and I was asked to produce a themed poster for the event. This was the first time I had attempted to produce a poster, but I was escited at the challenge and the prospect of my work being used. The creation of the disco ball was the most complex element which I build by hand placing coloured tiles, which I then turned in to a sphere.